Epidemic infection of the upper respiratory tract, Lianhuaqingwen capsule, Curative effect, Promotion value. Epidemic infection of the upper respiratory tract is the most common respiratory disease in clinical treatment. Among its pathogens, viruses are the most commonly seen (Figures 1 and 2), and only a few are bacterial . Its main clinical symptoms include fever, chills, headache, fatigue, muscle aches, nasal congestion, runny nose, headache, fatigue, muscle aches, cough, dry throat pain, etc. The infection of the disease is not affected by age, gender, occupation, region and other factors, and its incidence rate is significantly higher among people with poorer immune function or constitutional weakness than that of others. What’s worse, in the early stages of the disease, patients may not pay enough attention to it. They just treat it like a common cold, ignoring its high incidence and infection rates. However, if the patients do not take the right treatment in time, their situation will worsen, and even lung infection can be caused, which affects the normal work and life of the patients. Besides, some patients may also suffer from other serious complications. 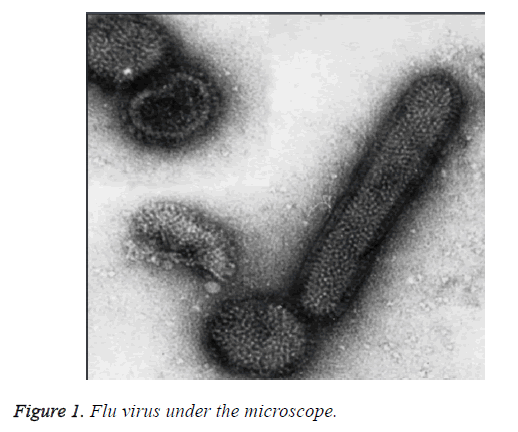 Figure 1: Flu virus under the microscope. 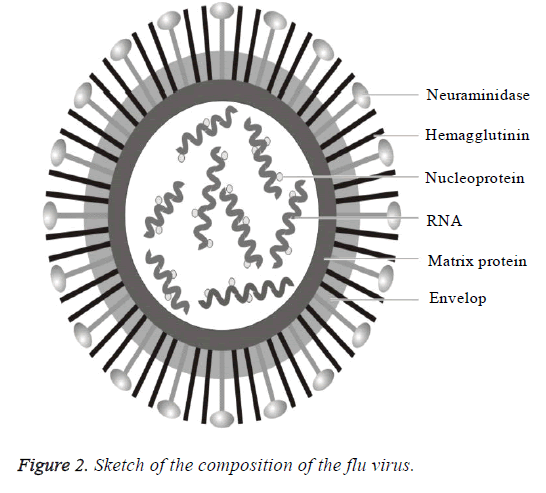 Figure 2: Sketch of the composition of the flu virus. Therefore, great attention should be attached to the prevention and control of the epidemic infection of the upper respiratory tract. Clinicians, especially, should try to find out an effect way to treat and control epidemic infection of the upper respiratory tract in their practice. They are supposed to control its incidence in the flu season, make sure that the patients can get timely and effective therapeutic intervention, shorten the course, and reduce the incidence rate of serious complications, so that patients could return to their normal work and lives as soon as possible . The observation objects include 2000 patients with epidemic infection of the upper respiratory tract who came to our hospital from June 2012 to June 2015. Using the random number table method, I divide the patients into two groups: the experimental group and the control group, each group including1000 patients. In the experimental group, there are 600male patients and 400 female patients aged from 18 to 65, with an average age of (40.36 ± 8.70) years. While the control group includes 550 male patients and 450 female patients aged from 18 to 65, with an average age of (40.45 ± 8.54) years. It is obvious that difference in the general information of the patients between the two groups, like the number, gender, age, etc. is small, and the contrast is balanced. The statistical analysis shows that, when P is greater than 0.05, patients of the two groups can be observed as objects in a control experiment. The diagnostic standards of patients with epidemic infection of the upper respiratory tract make reference to the article “Acute Respiratory Infections” in the seventh edition of Internal Medicine, a textbook for national medical colleges, as well as Internal Medicine in Traditional Chinese Medicine to confirm the diagnosis . The 2000 patients do not take or use other similar drugs within 48 hours after onset, and their body temperatures are all thirty-eight degrees Celsius or over. Using the random number table method, I divide the patients into two groups: the experimental group and the control group, each group including1000 patients. Lianhuaqingwen capsules (manufacturer: Shijiazhuang Yiling Pharmaceutical Co., Ltd., batch number: National approved Z20040063), are administered to patients in the experimental group three times a day (four capsules each time) orally for a week . Besides, they also take some other antibiotics to support the treatment. However, except acute medication to alleviate the symptoms, other antiviral drugs and antibiotics will not be used. In the control group, patients do not take Lianhuaqingwen capsules orally. But other treatment methods and principles are the same as that of the experimental group mentioned above. On the third, the seventh and the tenth day of the treatment, the clinical results of the two groups of patients are observed and analyzed . This control experiment takes temperature changes, the shape and the amount of sputum expectorated, the subsiding of cough, the disappearing of chest X-ray shadow, and the clinical course as indexes to evaluate the effect of the treatment against epidemic infection of upper respiratory tract of the two groups. After referring to relevant criteria of curative effect in “Guidelines for Clinical Research on New Chinese Medicine”, I divide the clinical effect in four categories: cured, remarkably effective, effective and ineffective . Cured: related indicators of clinical symptoms, signs, and laboratory examinations of the patient return to normal; Remarkably effective: condition of the patient has been significantly improved, but one of the three inspections has not been fully recovered; Effective: after the drug treatment, the condition of the patient has been improved, but the improvement is small; Ineffective: seventy-two hours after taking the drug, the condition of the patient has not been improved, or even tends to worsen. Clinical Effective Rate=cure rate+remarkably effective rate+effective rate. In this study, the statistical software SPSS19.0 is used for all data analysis and process with x̅ ± s expressing the numerical data and χ2 conducting the inter-group contrast. Statistically, 0.05 is regarded as the test standard and the confidence interval is 95%. Only when P is lower than 0.05, the difference between groups is deemed significant and thus of statistical value. The time of fever relieving, cough disappearing and chest Xray shadow vanishing, and the clinical course of patients in the experimental group are significantly shorter than those in the control group (P<0.05), indicating a remarked difference and thus significant statistical value (Table 1). Table 1: Contrast of Clinical Symptom Relief of Two Groups of Patients (n, x ± s, d). Among the 1,000 patients in the experimental group, 740 get cured, 140 get a remarkably effective recovery, 40 get an effective recovery, and 80 get an ineffective recovery, showing a clinical curative effectiveness rate of 92.00%. Among the 1,000 patients in the control group, 680 get cured, 60 get a remarkably effective recovery, 40 get an effective recovery, and 220 get an ineffective recovery, showing a clinical curative effectiveness rate of 78.00%. The clinical effectiveness rate of the experimental group is significantly higher than that of the control group (P<0.05, χ2=7.35), indicating a significant difference between groups and thus testifying its statistical research significance. The pathogenic bacteria that influence the outbreak of epidemic infection of the upper respiratory tract (Figure 3) and virus transmission means are complex and diverse, which may easily lead to the large-scale outbreak of the epidemic. In the initial stage of the epidemic, patients’ symptoms are close to the flu symptoms, such as fever or high fever chills, muscle aches, stuffy running nose, cough, headache, sore throat and others . It will later develop into pulmonary edema and lung tissue injury if no timely and effective treatment solutions are taken. In addition, the inflammatory exudates will appear inside the alveolar, presenting such clinical symptoms as increased lung sputum, yellow sputum, phlegm, sputum expectoration or other adverse symptoms . 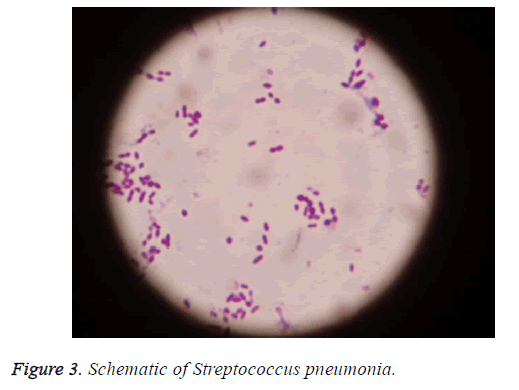 Figure 3: Schematic of Streptococcus pneumonia. Main ingredients of Lianhuaqingwen capsule include forsythia, honeysuckle, ephedra, gypsum, cyrtomium rhizome, radix isatidis, rhodiola, rhubarb and other herbs. Lianhuaqingwen capsule has heat-clearing and detoxifying function, which can be used to relieve viral upper respiratory diseases effectively, and treat respiratory diseases like bronchitis and pneumonia quite effectively. Active ingredients in Lianhuaqingwen capsule can not only reduce the absorption of toxins in the intestines, but also reduce the release of inflammatory mediators. In this way, the fever symptoms of the patients can be alleviated . In addition, the ingredients can also dilate blood vessels, speed up blood flow, inhibit platelet aggregation, relieve capillary obstruction and congestion, improve pulmonary microcirculation, and promote the healing of lung inflammation. Clinical data of this control experiment show that, the symptom relief time, clinical effective rate, and other average clinical indexes of patients in the experimental group, who take Lianhuaqingwen capsule additionally, are far better than that of patients in the control group. The difference has been so remarkable that the research is of statistical value. In conclusion, using Lianhuaqingwen capsules in the clinical treatment of epidemic infection of upper respiratory tract is effective and reliable. Being able to alleviate clinical symptoms like fever and cough effectively, and having such a great clinical value in lung infection control, the medicine is worth promoting and using in clinical practice . Xue Q, Hong Y. Observation of the clinical effect and safety of lianhuaqingwen capsule against the epidemic infection of the upper respiratory tract. China Foreign Med Treatment 2012; 1: 108. Yubo W, Jinqiang Z. Clinical observation of the curative effect of lianhuaqingwen capsule against the epidemic infection of the upper respiratory tract. Chinese J Clin Rational Drug Use 2012; 5: 102-103. Liying Z. Clinical observation of 160 cases on the curative effect of lianhuaqingwen capsule, Chinese traditional patent medicine, against the epidemic infection of the upper respiratory tract. Heilongjiang Med J 2014; 27: 377-378. Yueda J, Caifen W, Zhaojun L, Minchang G, Xiaohong J. Effect of Lianhuaqingwen capsule and ribavirin aerosol against the epidemic infection of the upper respiratory tract. China Med Herald 2014; 11: 64-66. Weihong W. Clinical observation of 100 cases on the curative effect of Lianhuaqingwen capsule against the respiratory tract infection in combination with lung cancer. J Taishan Med College 2013; 34: 128-130. Mohammed MJ. A new mathematical evaluation of smoking problem based of algebraic statistical method. Saudi J Biol Sci 2016; 23: S11-15. Lee SJ, Hossaine MD, Park SC. A potential anti-inflammation activity and depigmentation effect of Lespedeza bicolor extract and its fractions. Saudi J Biol Sci 2016; 23: 9-14. Azra MN, Ikhwanuddin M. A review of maturation diets for mud crab genus Scylla broodstock: Present research, problems and future perspective. Saudi J Biol Sci 2016; 23: 257-267.